إذا كنت تبحث عن فندق بموقع جيد في جزيرة كانجارو، فقد وجدت ضالتك في The Fig Tree B&B . يمكن من هنا للضيوف الاستمتاع بسهولة الوصول إلى كل ما تقدمه هذه المدينة النابضة بالحياة. يوفر الفندق بفضل موقعة الجيد وصولاً سهلاً إلى أهم معالم المدينة.
. إن الخدمات الممتازة وحسن الضيافة العالي في The Fig Tree B&B تجعل إقامتك تجربة لا تنسى. يقدم الفندق فرصة للاستمتاع بشريحة واسعة من الخدمات بما فيها: تخزين الأمتعة, صف السيارات, خدمة الغرف, التوصيل من وإلى المطار, غرفة عائلية . بالإضافة لهذا,تتضمن كل غرف الضيوف مجموعة واسعة من وسائل الراحة . بعض الغرف توفر حتى تلفزيون بشاشة مسطحة, غرف لغير المدخنين, تدفئة, مكتب, شرفة/ تراس لإرضاء أكثر الضيوف تطلباً. يمكنك الاستمتاع بالأجواء المريحة التي تقدمها مسار جولف - ضمن 3 كم, حديقة طوال النهار. إن The Fig Tree B&B هو مكان مثالي للمسافرين الذين يتطلعون إلى الراحة والاستجمام في جزيرة كانجارو. Accommodation was well equipped for a cosy stay. The heater lamp fixture in the bathroom and the heater unit came in very handy during our stay on a stormy, winter night. Thankful for the breakfast provisions which were more than enough for the 2 of us. One night stopover since my ferry was delayed due to the storm. Thank you for giving me a cozy night in an extreme weather! Everything was well maintained and very clean! I hope I chose to stay here earlier. The location is very near the jetty and around an hour driving to seal bay. For a few minutes drive you can get to the beachside for a morning walk. Very peaceful beach and nobody was there when I walked there around 10am. this was certainly not 4 star, at best it was 3 star it needed updating. the tv did not work properly, the abc was in fuzzy black and white the other channels unwatchable. the bathroom fan did not work and a timing device turned the heat lamps off the middle of your shower leaving you in the dark as there was no window. there were no eating places within reasonable driving distance, this would have meant driving some 50k each way to get a meal, there was a lot of road kill which made driving after dusk a real risk. cafes were few and far between so getting anything to eat or drink became a real challenge especially on public holidays, good job we had some bread with us so we could make toast for our evening meal. bed was comfortable and we had a good continental breakfast on our private verandah. Sliding door with a patio. Absolutely darling room. loved our stay. wish we could have stayed longer. very nice owner, too. close to beach, quiet, friendly dog! We stayed in The Library at Fig Tree and enjoyed it, although there was a couple of things we were disappointed in. The spa bath didn't seem to work in our room (although admittedly we didn't ask about it) which was a shame as it was part of the reason we chose Fig Tree. I was also under the impression from the photo's that there would be ocean views from the rooms. 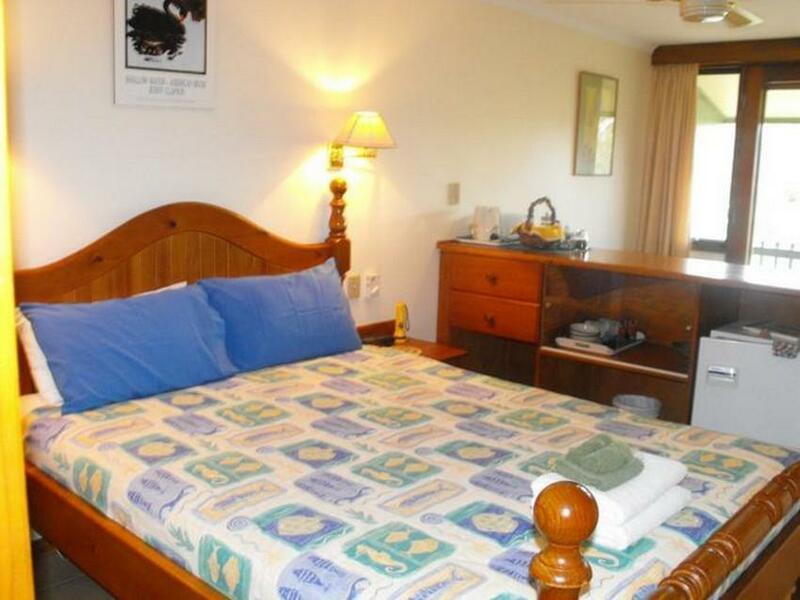 I suspect one of the photo's of a "guest room" is in fact the owners lounge room which does have a spectacular view - however none of the guest rooms do. 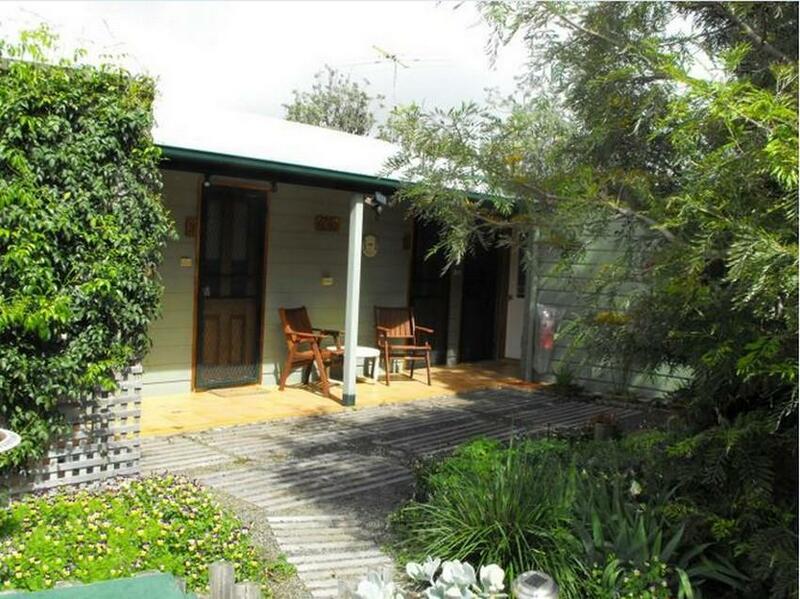 However, the room and owners are very pleasant; the room was comfortable and it was great to have a kitchen. We also made good use of the Trivial Pursuit game provided! 位置適中, 離碼頭只約十分鐘車程; 附近環境寧靜; 鄰近海灘, 可垂釣及游泳. 歐陸式早餐, 選擇不多; 位置適中, 離碼頭只約十分鐘車程; 附近環境寧靜; 鄰近海灘, 可垂釣及游泳; B&B 的主人 Alan 及其太太非常友善. B&B房間並無煮食安排, Alan主動借出廚房及各式烹飪工具. Posto davvero accogliente. Pulito, fornito di tutto con un'ambientazione suggestiva. Il proprietario è davvero gentile e ospitale. Siamo stati benissimo. Tranquillo Bed and brekfast non lontano dal traghetto di collegamento con Cape Jervis. Arredamento famigliare e caratteristico con terrazzino sul giardino con tavolino e sedie. Stanza pulita. Colazione "light" che consiste in prodotti pre confezionati già presenti in stanza. Gestione famigliare padrone di casa gentile e disponibile. In caso di giornate abbastanza fredde il riscaldamento della stanza e del bagno non è il massimo.